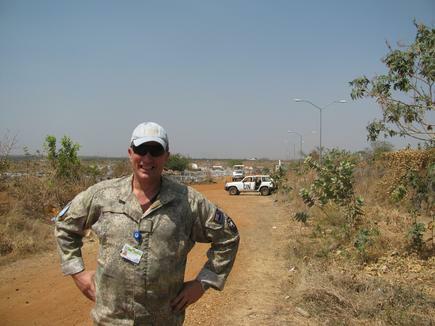 Back from his stint as planning officer for the UN Mission in South Sudan, John Holley shares how the Army’s approach to strategic planning and operations can apply to the business environment. A six-month offshore stint highlighted to John Holley a key area he feels most New Zealand organisations can step up on - strategic planning and organisation. In this assignment, he was involved in the process for a “really complex environment” in South Sudan, as deputy planning officer for the militiary component of the United Nations in the newest country in the world. He worked with an international group that included Danes, Norwegians, Americans, Germans, Swedes, and Australians. The multinational contingent undertook planning for around 10,000 people in the mission that included 7000 military and 900 police. The real takeaway there, he says, because they were all fundamentally trained in the planning process, the team was able to work quickly together. He adds that, “The plan for the next six months has to set conditions for the next two years. You have got to be thinking long-term as well." He believes one of the challenges for New Zealand organisations is how to do better planning, and how to change the culture around it. “Crisis management is thinking quickly and clearly, and making decisions. Otherwise you see paralysis,’ he states. According to Holley, they were providing protection for civilians, supporting all the humanitarians and the ‘internally displaced persons” the UN term for “internal refugees”, or those who were forced from their homes but did not cross an international border. 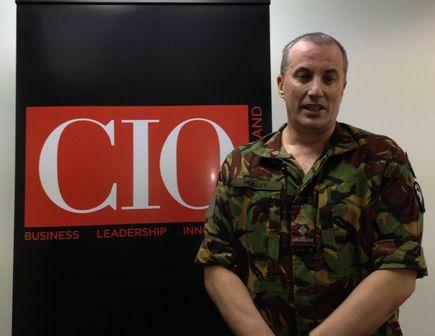 “The tools the army has given me in planning and delivery in crisis mode stood out to the fore,” he says. “We have contingency plans for when things go wrong,” he says, “It is like the BCP (business continuity planning) for an enterprise. The challenge is for any organisation is to practise it. “Once the crisis started,” he explains, referring to the crisis in December 2013, “you had literally thousands of internally displaced persons coming to your camp." There is immediacy when you know that members of the mission are under threat. It was not just an academic process. We need to respond now, because people are dying, but also we need to plan for the emergency crisis response, and for the future going forward. Related: The CIO as peacekeeper John Holley ventures into an unfamiliar territory to most CIOs - to South Sudan, as a planning officer for the United Nations Mission. This is his second stint as an Army officer in an overseas area of conflict. The first one was in East Timor, in 2001, where he was a planning officer for the New Zealand Battalion, with 700 members. His observation then and now is the dearth of training on strategic or operational planning in local organisations. This involves a formal training process, he says, and during the mission to South Sudan, it was obvious how the group of officers who were trained for it easily stepped up to the role. He discloses that before going to South Sudan, he had done, through his military career, close to a year of training and exercising in planning. But this does not mean those principles cannot be applied to a civilian or business environment. He says in the military, the officers who have different specialities are all trained in the planning process, and then go back to the business or their respective division. In the military, the person who is the head is in charge of the planning of the organisation. There is a planning team, but they work for the CEO. In this case, the CEO is the military commander, he or she has to be involved, and constantly give feedback along the way. “You are not doing operational planning for a divison; you are working with the most senior person in the organisation.” This will be the CEO, who then presents the plan to the board. He says larger organisations will find it easier to implement this approach, because they could build a team of planners. This team can work constantly on business planning, and after a year are embedded into other parts of the organisation.